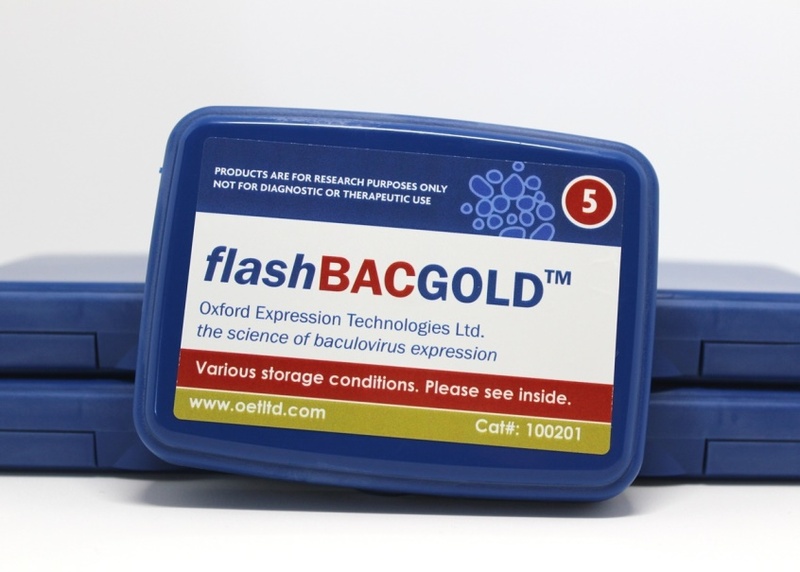 flashBAC ULTRA (cat# 100304/100300/100301/100302) is the latest development in the series of flashBAC™ vectors. In addition to chiA (chitinase) and v-cath (cathepsin), three more virus genes (p10, p74 and p26) have been excised from the flashBAC ULTRA genome. 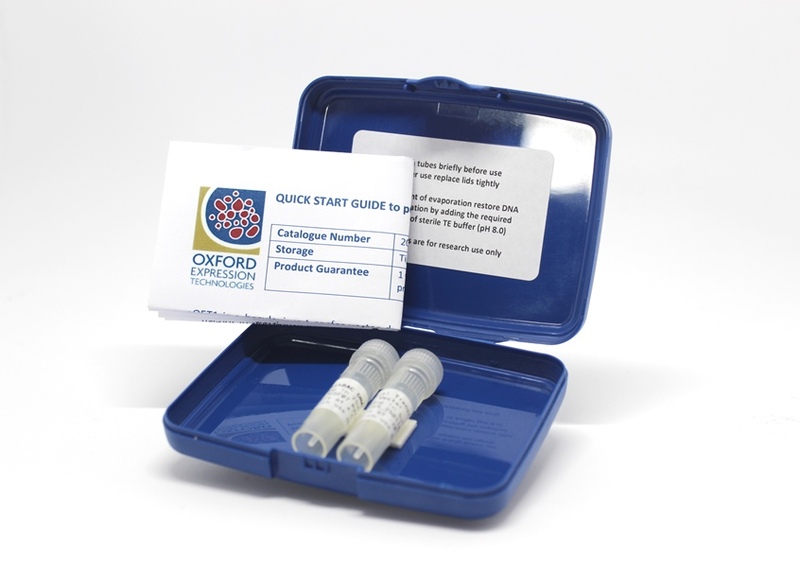 The deletion of chiA has improved the efficacy of the secretory pathway whilst the absence of v-cath reduces the chance of the recombinant protein being degraded. Deletion of p10 increases polyhedrin promoter activity providing greater nuclear and cellular stability, ensuring a longer timeframe for protein expression and removes a major competitor for limiting cellular resources. Removing p74 further increases the biosafety profile of recombinant baculoviruses in the environment, making them unable to traverse the insect gut wall. 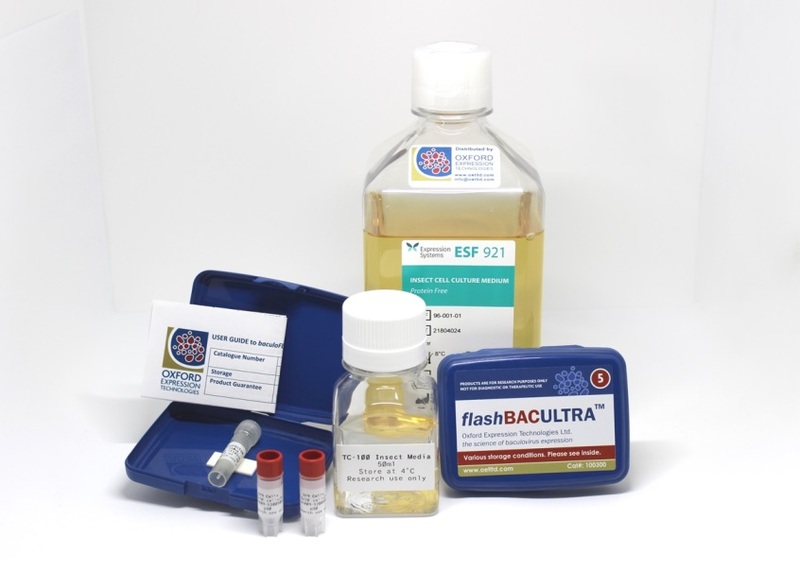 Along with p26, the absence of these genes removes an unnecessary genetic burden from the recombinant virus genome, providing a more efficient baculovirus expression vector. 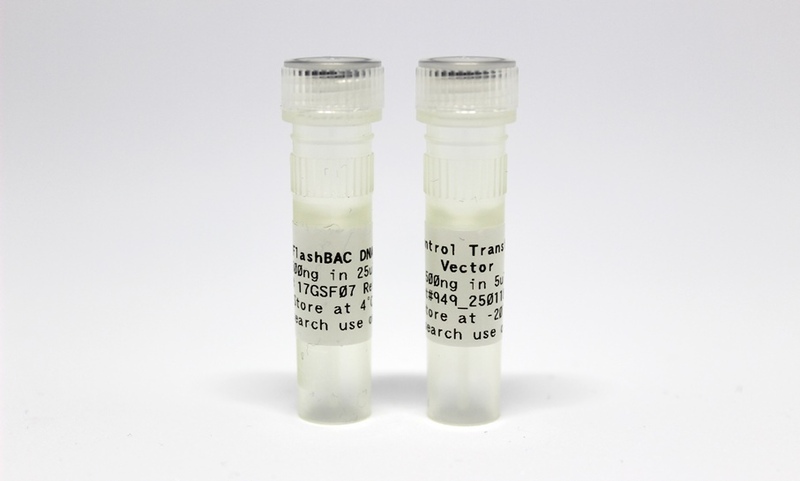 This has allowed further improvements in recombinant protein yield and quality to be delivered, making flashBAC ULTRA the best choice for the most difficult to express proteins.